The French, Greek and Spanish gaming markets have seen growth in leaps and bounds this year after their revenues were reported for the month ending in October. All three of these regions have faced their own internal challenges, be it regulatory or political, but they have shown that the market is there, waiting for proper government regulation and protection. Greece especially have been very slow to adopt well regulated gambling and now with the release of their land based Video Lottery Terminals they can clearly see the revenue that can be generated for the state to do good with, while still giving players the freedom of choice. ARJEL, the French gambling regulator reported strong growth in their market. Revenues have increased by an amazing 23% compared to the same period last year. Soccer remains the most popular sport in the country and even though there were no major tournaments or events this month, it still made up 60% of the total sports betting market. Sports betting and online poker were the two biggest contributors to the $639 million in revenue generated by gambling activity. It is an on going government battle but Greece has finally installed more than 5000 of a planned 35 000 Video Lottery Terminals in shops around the country. They have contributed to a 64% increase in net profit figures this year. There is still debate raging over the terminals which many politicians wish to limit to 10 000 in total. With the Greek economy in the shaky state it is in, these terminals provide a much needed source of revenue for the state which should not be taken lightly. Overall OPAP saw a solid 12% growth in revenues ending the third quarter of 2017 with $421 million. Spain’s regulator has posted a 30% increase in revenues this year and it is all credited to increased marketing efforts by operators. This follows an even higher figure of 40% in September compare to the same period last year. Of these figures, pokies still dominated, making up 40% of the total revenue generated by online gaming. 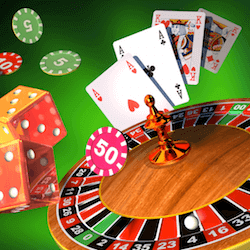 Live Roulette is the second most popular game amongst Spanish players. Operators have said that they have seen great payoffs from their increased marketing expenditure. The Spanish online gaming market looks set to grow even more in the last quarter of this year.